From the 12th century to the beginning of the 14th, the Knights Templar, present in much of Europe, had become the bankers for the powerful and had taken part in the financing of several crusades. At the beginning of the 14th century, they were the main creditors of the King of France, Philip the Fair. Faced with a debt burden that was straining his resources, Philip the Fair eliminated both his creditors and his debt by demonising the Knights Templar, accusing them of many crimes |1|. Their Order was outlawed, the leaders executed and its assets seized. Its army (fifteen thousand men, including one thousand five hundred knights), its patrimony and its credits to rulers failed to protect it from the power of a State set on eliminating its main creditor. During the same era (11th – 14th centuries) Venetian bankers were also financing the Crusades and lending money to the powerful of Europe, but they manoeuvred much more deftly than the Knights Templar. In Venice, they took control of the State by founding the Venetian Republic. They financed the transformation of the Venetian city-state into a veritable empire including Cyprus, Euboea (Negroponte) and Crete. They made use of a clever strategy to gain lasting wealth and guarantee reimbursement of their credits: they decided to drive the Venetian state into debt towards the banks they owned. They were the ones who set the terms of the loan contracts, as they were at once bank owners and rulers of the State. While Philip the Fair had an interest in physically ridding himself of his creditors to be free from the debt burden, the Venetian State reimbursed the debt to bankers in cash. The latter came up with the idea of creating public debt titles that could circulate between banks. 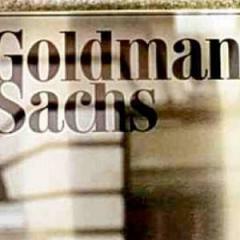 This was a step towards the establishment of financial markets |2|. This type of loan is the precursor to the major form of State debt as we know it in the 21st century. Today, seven centuries after Philip the Fair crushed the Knights Templar, the bankers of Europe, just like their Venetian or Genovese forebears, clearly have nothing to fear from governments. The national states and the contemporary European Union proto-state may be more complex and sophisticated than the Venetian – or Genovese – Republics in existence from the 13th to the 16th century, but they are just as nakedly organs for the exercise of ruling class power, the 1% holding sway over the 99%. 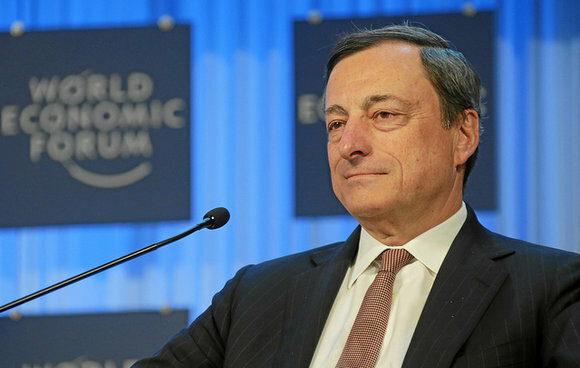 Mario Draghi, the former managing director of Goldman Sachs in Europe, heads the European Central Bank. The private bankers have placed their representatives or allies in key posts in governments and administrations. European Commission members are very attentive to the defence of private finance interests, and the lobbying that banks exert with respect to European parliamentarians, regulators and magistrates is very effective indeed. If a handful of major capitalist banks have occupied centre stage in recent years, this must not hide the role of major private firms in industry and commerce, who use and abuse their close links with governmental structures just as deftly as the bankers. The maze of crossed interests amongst states, governments, banks, industrial and commercial firms, and major private communications groups is also one of the characteristics of capitalism, in its current phase as in earlier ones. Indeed, as soon as capitalism became the victorious mode of production and the dominant social formation, representatives of major private groups and their allies have exercised power. Looking back in history, the New Deal launched by President Roosevelt in 1933 and the thirty years following the 2nd World War seemed a parenthesis when the ruling class had to make certain limited but real concessions to the working class. Major capitalists had to play down their control over the state to some extent. With the neoliberal turn begun from the end of the 1970s, they threw discretion to the winds. The 1980s put the spotlight on an utterly uninhibited ruling class, flaunting and cynically singing the praises of the profit motive and the all-out exploitation of peoples and of nature. The regrettably famous Margaret Thatcher saying, “There is No Alternative” still leaves its mark on the political, economic and social landscape, via violent attacks on rights and social victories. Mario Draghi, Angela Merkel, Silvio Berlusconi (a leading Italian capitalist) and José Manuel Barroso have become emblematic figures of the continuation of Thatcher’s plan. The active complicity of socialist governments (from Schröder to Hollande, by way of Blair, Brown, Papandreou, Zapatero, Socrates, Letta, Di Rupo and several others) shows the extent to which they have become parties to the logic of the capitalist system, just like Barack Obama on the other side of the Atlantic. As US billionaire Warren Buffett stated: “It is a class war, and my class is winning”. The public debt system as it functions in capitalism is a permanent mechanism for the transfer of wealth produced by the people towards the capitalist class. The crisis beginning in 2007-2008 reinforced this mechanism because the losses and debts of major banks were transformed into public debts. On a very large scale, governments socialised bank losses so banks could continue to make profits, which they redistribute to their capitalist owners. Government leaders are the direct allies of the big banks and use their powers and public funds to serve the latter. There is a constant revolving door between major banks and governments. The number of Ministers of Finance and the Economy, or Prime Ministers, coming directly from major banks or going to them when they leave government has not stopped rising since 2008. The banking profession is too essential to the economy to be left in private sector hands. Banks must be socialised (this implies expropriating them) and put under citizen control (of bank workers, clients, associations and representatives of local public stakeholders), as it must be subject to public service guidelines |3| and the income its activity generates must be used for the common good. Public debt contracted to save banks is definitely illegitimate and must be renounced. A citizen audit must determine the other illegitimate and/or illegal debts and play a part in mobilisation so an anticapitalist alternative can take shape. Bank socialisation and cancellation/repudiation of illegitimate debt must be part of a broader programme |4|. As was the case in the Venetian Republic, nowadays in the European Union and in the majority of the most industrialized countries on the planet, the State operates in osmosis with the major private bank and obediently repays the public debt. Non-repayment of illegitimate debt, socialization of banks and other vital measures will be the outcome of an upsurge of the people as protagonists of their own history. This entails establishing a government as faithful to the oppressed as the Merkel, Obama and Hollande governments are to major private businesses. Such a government of the people must make inroads into sacrosanct major private property to develop the common good while respecting nature’s limits. This government must also make a radical break with the capitalist State and do away with all forms of oppression. An authentic revolution is necessary. |1| See David Graeber, DEBT The First 5.000 years, Ed. Melvillehouse Brooklyn, New York, 2011, 453 pages ; Thomas Morel et François Ruffin, Vive la Banqueroute!, Paris, Fakir Editions, 2013. |2| Fernand Braudel, Civilisation matérielle, économie et capitalisme. XVe-XVIIIe siècle, Paris, Armand Collin, 1979 ; David Graeber, DEBT The First 5.000 years, Ed. Melvillehouse Brooklyn, New York, 2011, 453 pages. |3| The banking sector must be fully public, with the exception of a small-scale co-operative sector, with which it could cohabitate and collaborate.